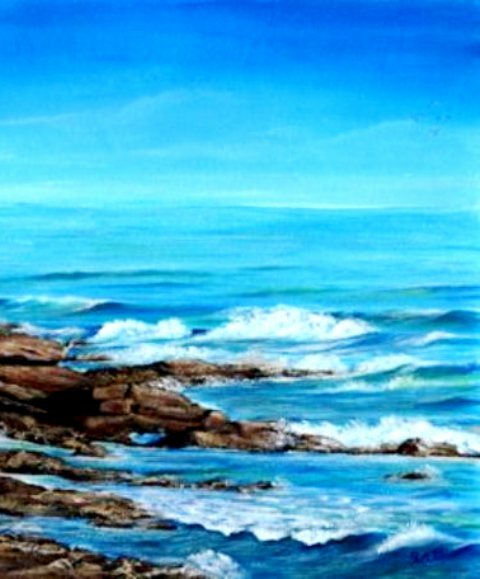 An original, signed, acrylic painting. Measurements are 40 x 49cm including frame. 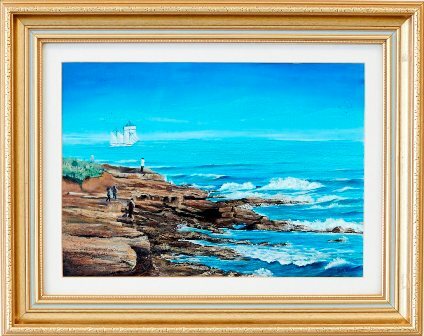 Painted on the coast of northumberland, in the bay of Newbiggin by the Sea, it shows the rocks jutting out into the sea in the middle of a summer day and the waves gently crashing onto the headland. 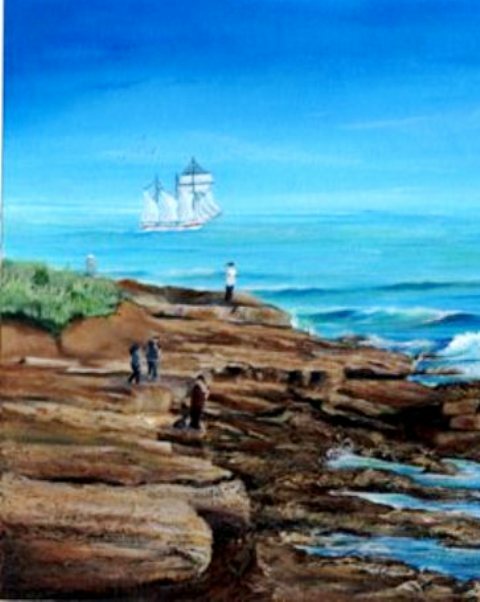 A group of people have gathered to watch as a tall ship, in full sail, goes by in the distance, watching in awe at this amazing event.